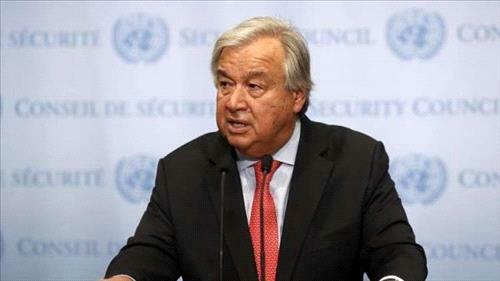 AMMONNEWS - UN Secretary-General Antonio Guterres warned on Wednesday that full-scale military operations in Syria’s Idlib province could lead to a “humanitarian catastrophe” and cautioned against the use of chemical weapons. Guterres’s warning came amid fears the Syrian government is mobilizing for a military offensive to retake Idlib, the last province still held by the country's beleaguered rebels. “The Secretary-General is deeply concerned about the growing risks of a humanitarian catastrophe in the event of a full-scale military operation in Idlib province in Syria,” a UN statement said.